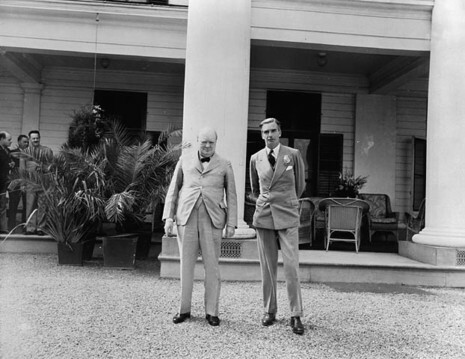 The conference also established a new theatre of war in South East Asia, with Lord Mountbatten as commander, and reached an agreement to dissuade Spain from supplying tungsten to Germany and to withdraw one of its divisions from the German-Soviet war. The UK and USA also agreed that neither would use a nuclear weapon - now in rapid development - or communicate nuclear intelligence to a third party without mutual consent. One of the stranger events at the Quebec Conference was the discussion of a plan to build an aircraft carrier out of ice. The mastermind behind this plan was a scientist called Geoffrey Pyke, who developed a substance he called Pykrete, made of frozen seawater and sawdust. A prototype was demonstrated at the Quebec Conference and the project had many high-powered supporters - but the plan was abandoned in favour of the artificial harbours that were constructed for the Normandy landings. 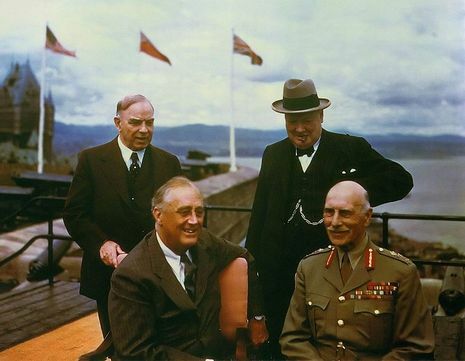 In the midst of the Second World War, British Prime Minister Winston S. Churchill and U.S. President Franklin D. Roosevelt met in Québec City to take stock of operations under way and plan the strategy they would follow. 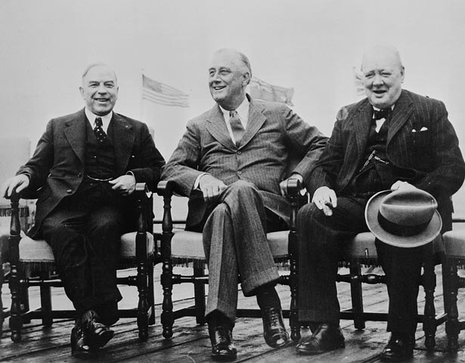 Canadian Prime Minister W. L. Mackenzie King hosted the two leaders but took no part in their discussions in Québec City. The conferences had an impact on the course of the war and the shape of the world order once peace was restored. 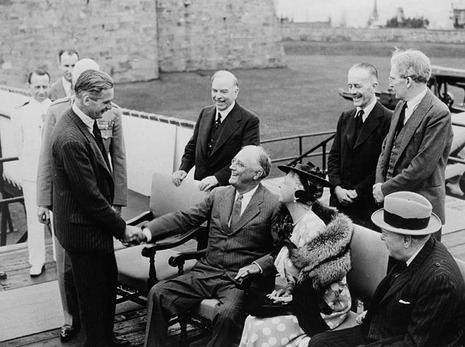 Held in Québec City at the suggestion of President Roosevelt, a first conference took place in the Citadel (given HSMBC designation in 1980) from August 10 to 24, 1943. The leaders decided in favour of the Normandy landings of June 1944. A second conference was held in the same location from September 11 to 16, 1944, where Prime Minister Churchill and President Roosevelt coordinated their postwar plans and discussed arrangements for the occupation of Germany.